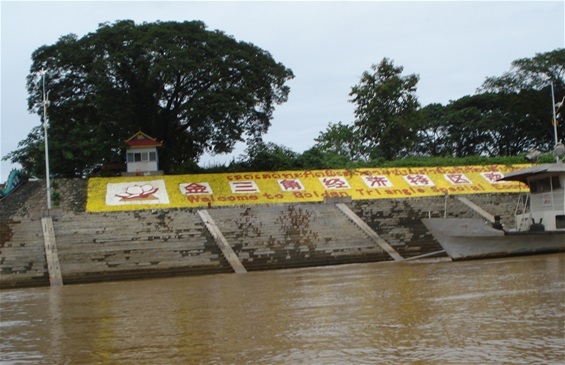 In 2014 I visited the Golden Triangle tripoint, i.e. 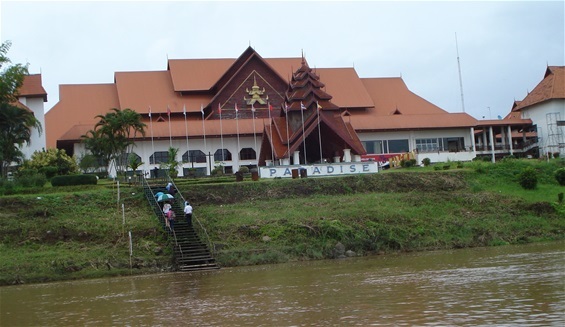 the place where Laos, Myanmar [a.k.a. 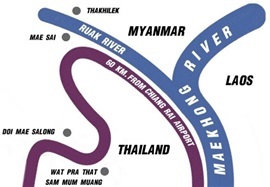 Burma] and Thailand meet. 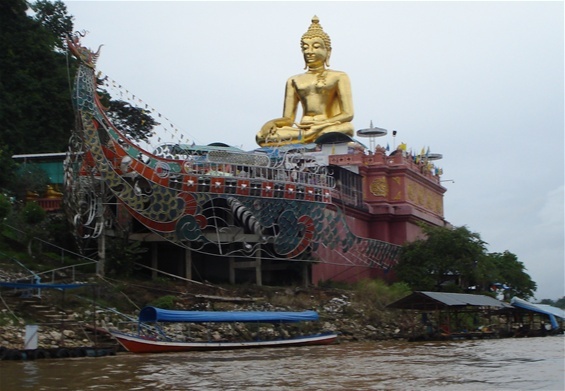 Here is a view of the tripoint area and its major landmarks in the three countries: (1) the Buddha statue in the Thai village of Sop Ruak [also spelled Sob Ruak; in English often referred to as the Golden Triangle], (2) the Golden Triangle Paradise Resort, a huge hotel and casino complex on Myanmar territory, and (3) the Golden Triangle Economic Zone on the Laotian shore of the Maekhong river. 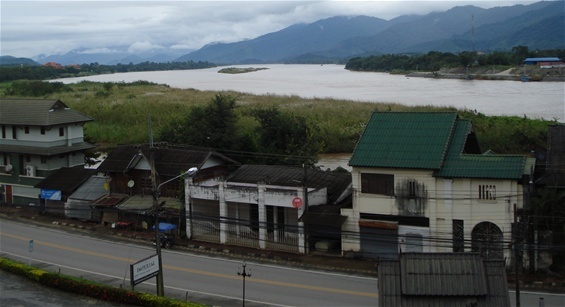 Photo taken from the riverside 400m south of Sop Ruak. And, finally, here is a slightly different view of the tripoint area [including a small Laotian island located a little bit north of the Paradise Resort in Myanmar]. 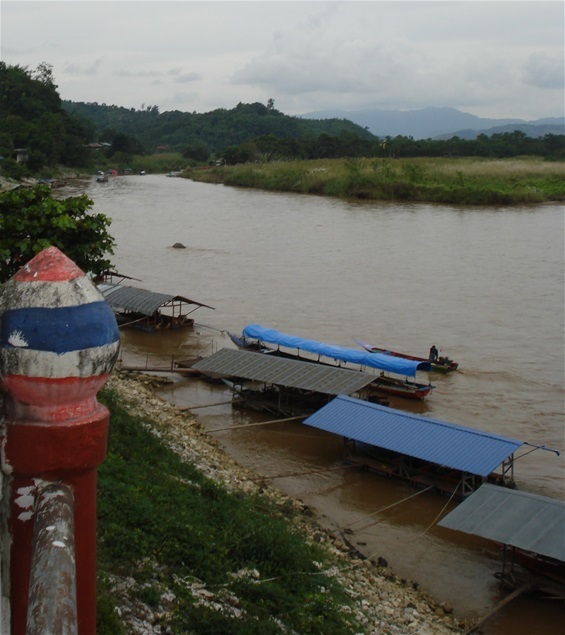 Photo taken from the Imperial Golden Triangle Resort hillside 200m north of Sop Ruak. For “Tripoint spotting – a personal diary”, a website that summarises my [successful as well as attempted] visits to 39 international tripoints and/or tripoint areas in Europe and in Asia in the period of 1988-2013, click here. 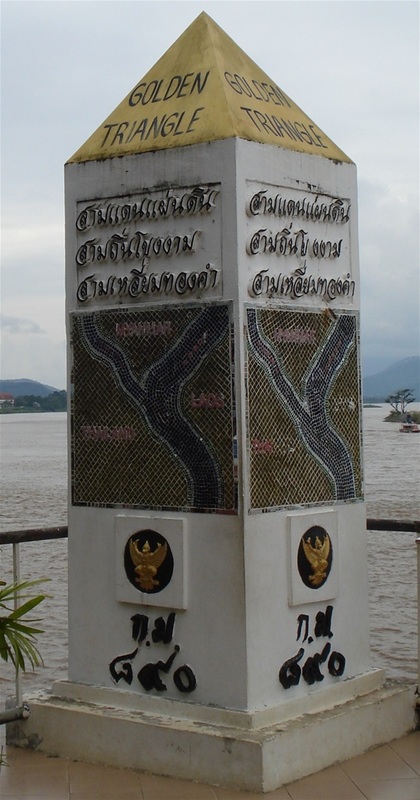 The website includes photos from my previous visit to the Golden Triangle in 1995, and, as a bonus, photos of two former European tripoint areas and a former European quadripoint.